Today there will be the services sector data in Britain which is not leaving any impact on GBP strength. There will be some economic reports in the US such as Balance of Trade and EIA Crude Oil Stocks Change. 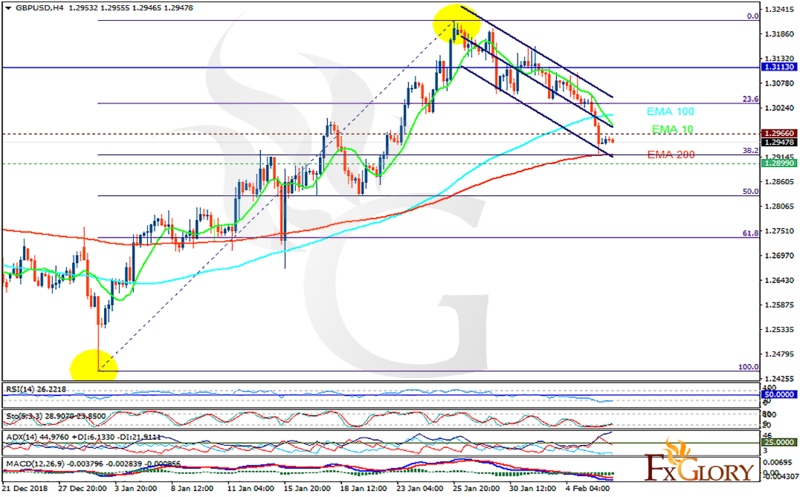 The support rests at 1.28990 with resistance at 1.29660 which both lines are below the weekly pivot point at 1.31130. The EMA of 10 is moving with bearish bias in the ascendant channel and it is above the EMA 100 and the EMA of 200. The RSI is moving in oversold area and the Stochastic is moving in low ranges. The MACD line is below the signal line in the negative territory. The ADX is showing sell signals. The downward trend may continue towards 61.8 level of Fibonacci at 1.27.